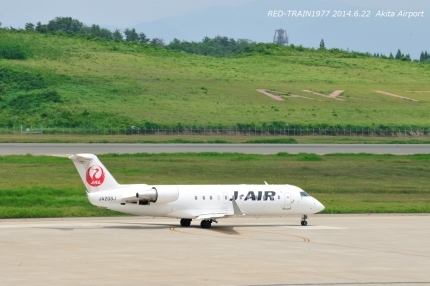 Today, aside from the topic of railway usual, and me for a photo of an airplane at Akita Airport. 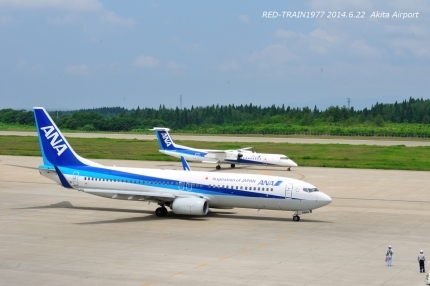 Today, taken from the observation deck by changing the frequency to aviation radio from the train radio. 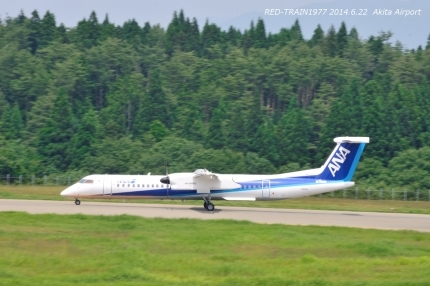 Akita Airport control, such as weather reports request of overflight, weather flight destination route, refueling amount of fuel can be heard in the radio company of ANA and JAL. 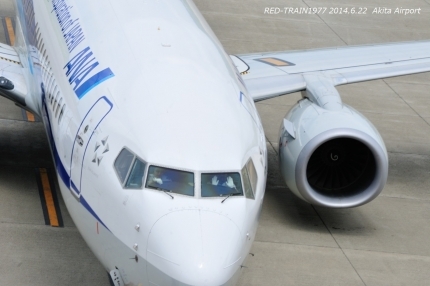 And say aviation radio, it is often thought to be difficult to understand in English, because it is a domestic katakana English almost, you know about it, as you become more familiar. Company radio is almost Japanese. 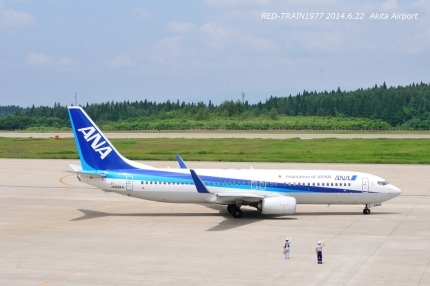 ※ The current Akita Airport, was relocated from the old airport on June 26, 1981, has been opened. 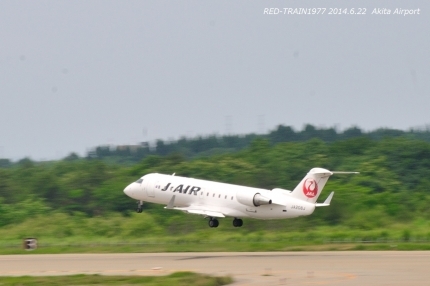 Bound for Haneda Airport. Captain and vice captain, has waved a hand toward the observation deck.